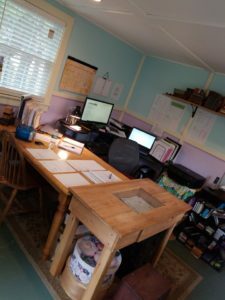 After taking a short (about a year and a half) hiatus, Jenn re-launched her writing career July of 2018. (She was still writing, but not full-time.) During that hiatus, her original website fell to the wayside and this new one came to fruition . . . and was suffering an identity crisis. Thankfully, that's no longer the case! 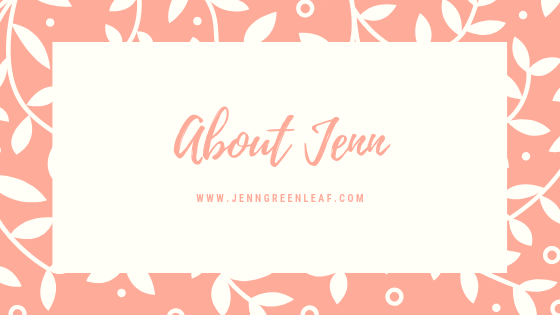 A Little About Jenn . . .
Jennifer M. Greenleaf has been in the writing and publishing industry since November of 1999. For those of you who are keeping track, that's one month before she gave birth to her oldest son. (Right?) That means you'll find clips from her as Jennifer Hollowell or Jennifer M. Hollowell, as well. Right now, her focus is on ghostwriting articles, blog posts, website content, and white papers for clients. From time to time, you will see bylined articles and blog posts from her, as well. Where Can you Find Her Working? She delivers high-quality content on time and on-spec. You'll find periodic updates regarding her photography designs, as well! She's in her office daily! Her office is a renovated building in her backyard that she loves working in, so she's there daily!